Our secret is out! 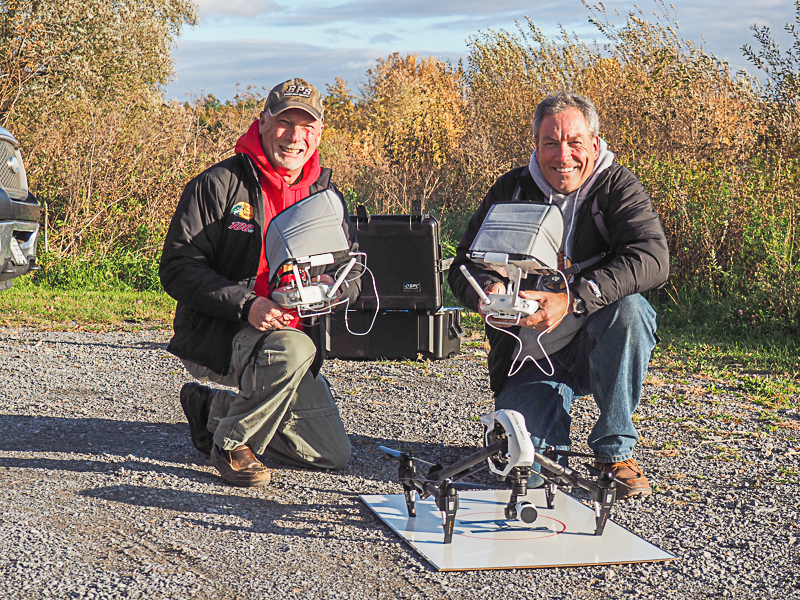 The fish finders were visiting the park, taking, what we are sure, will be beautiful video of the park in fall with their unmanned aerial vehicle. You can find fish enthusiasts everywhere these days, under AND over the water. These two gentlemen host a fishing show (on WFN network on Bell) and are out visiting our region, looking for some great fishing spots. Jessup’s Falls is certainly one of them! From their site: “The Fish Finders is an outdoor adventure television series dedicated to the art and conservation of sport fishing throughout North America.” They speak our language of ‘conservation’. Keeping our rivers clean for the enjoyment of all, human, animal and fish. And you can’t have sport fishing without fish! The web page on their site for Jessup’s Falls is empty right now but we hope this trip will give them plenty of information for their site and tv show! Share your experiences fishing the South Nation river in Jessup’s Falls in the comments section and don’t forget to visit the Fish Finders!